The ideal solution to your needs, whatever your medical field is. The material and the unique patented characteristics, combined with inimitable and aesthetical touch give life to a product extremely practical, sturdy and reliable. Aurion trolleys are made in Baydur® Polyurethane, a high performance material that combines the best characteristics of plastics and metals. Our products are unique and innovative features not found in other commercial products. 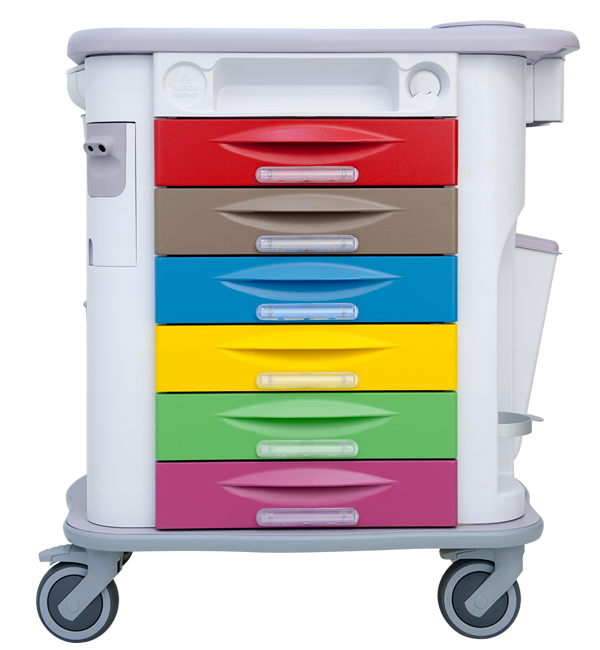 The use of quality materials and the upgradability guarantees an impressive long-life of every trolley. All trolley components are easily separable and completely recyclable. The smoothly shaped design, without edges, guarantees safety to the user and avoids dirty and bacterial accumulation points and makes them easy to clean.